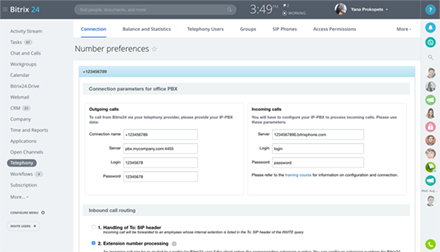 You can rent local phone numbers in 43 different countries or toll free ones (1-866), create internal phone number extensions for your employees, and set up call queuing and call forwarding. 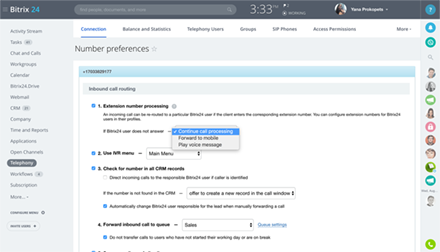 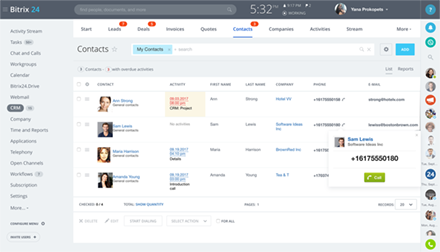 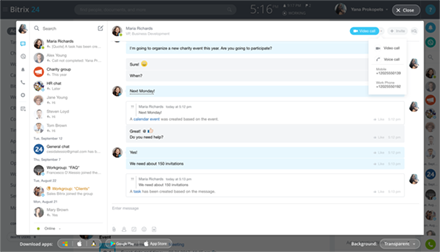 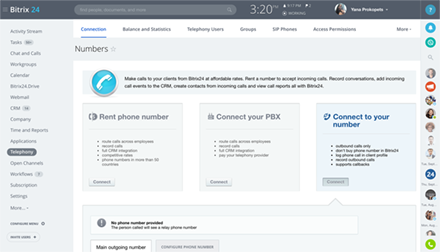 If you have office or cloud PBX, or can provide SIP-trunk, you can keep your current phone number and get access to all Bitrix24 telephony and CRM features by renting aSIP-connector. 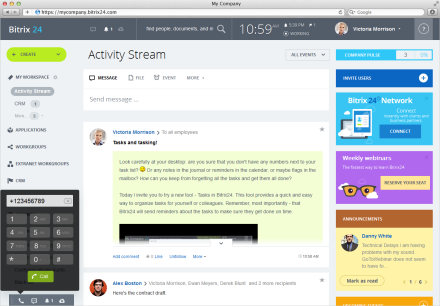 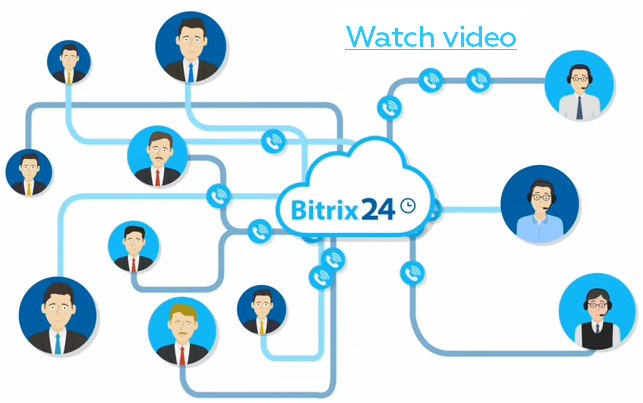 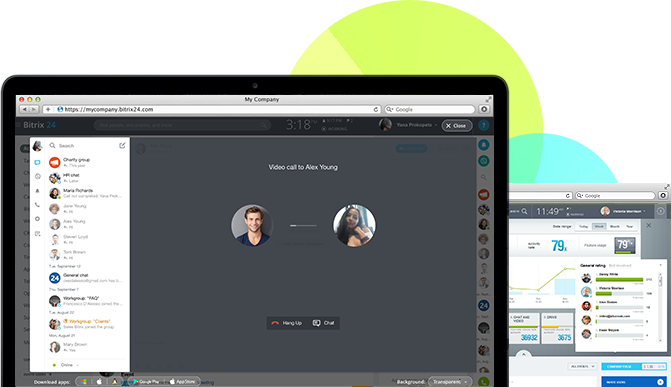 You can call anywhere in the world as soon as you start your Bitrix24 cloud instance. 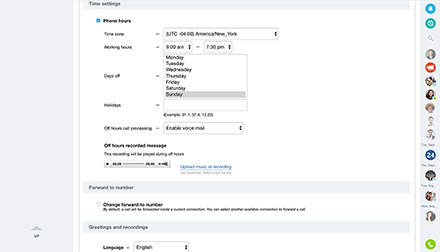 No settings, no configuration, and in fact there is even 'test money' in your account. 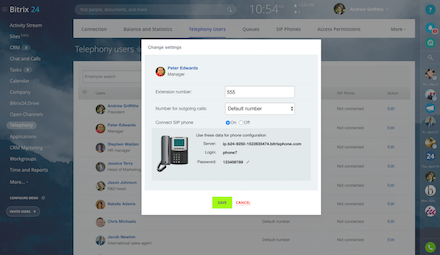 This feature lets you call practically any phone number in the world.